Any one knows anything about the designs of this particular piano M132 or any in this range? Mason & Hamlin currently builds the model 50 upright. I do see considerable ties between Mason & Hamlin and Parsons, one of the larger Chinese manufacturers. The uprights you see are likely the result of that partnership, but I have no direct knowledge. 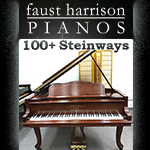 As you may know, Parsons builds current production Baldwin grands, Brodmann pianos, Friedrich Grotrian pianos, Wilh. Steinberg, and their own lines including Toyama. Honestly, it's hard to keep up. I used the Microsoft translator function on my computer to view the site in English. The specific upright piano you are referring to is Chinese built. The company using the Mason and Hamlin name in China (Parsons???) apparently builds a series of upright and grand pianos - but also imports the standard American built Masons. I find it very strange that Mason and Hamlin would enter into a relationship with a Chinese company to build pianos that are seemingly of lesser quality than the American built Masons. I hope that these Chinese built pianos will never be distributed in the USA. 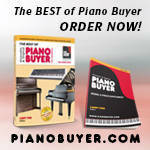 Why are you assuming that the Chinese company is building pianos of lesser quality? That has not been the case of most Chinese pianos. OK - I'll qualify my statement. Based on my personal experience auditioning various Chinese built pianos over the years, I've yet to find one that I'd consider to be a "top tier" instrument. Therefore, I assume that these Chinese built Masons would most likely be no different. I would endorse what Carey said. I was in China for 10 years and never found a Chinese built piano that was anywhere near top tier. I have heard through usually reliable sources that Parsons has a ownership position in Mason & Hamlin/PianoDisc. There was talk at this year's NAMM of M&H being up for sale. I have no idea of the veracity of this. A concern with Wessel Nickel Gross action if M&H went the way of Baldwin- would carbon fiber replacement action parts still be available? With Baldwin so many were sold in the past that after market companies provide replacement action parts. The numbers of WNG actions were small, think 400/yr M&H pianos sold for the past few years that have carbon fiber actions. Could owners of pianos with this action be in the same place Betamax video recorders were in the past ie. a superior product that has been abandoned? Keep in mind there were also talk of S&S being on the market. Last edited by Sanfrancisco; 07/12/18 05:34 PM. Dear Victor, Sam, Carey, Steve, Philip, SF and other esteemed friends and members of PianoWorld, First of all, I'd like to say that the Mason & Hamlin piano company is currently 100% privately owned by Mr. Kirk Burgett. There are no other shareholders or investors. Also, I wanted to take this opportunity to address and clarify a few items and comments in this thread and also include the official Mason & Hamlin company statement on our trademark. As some of you know, China has a very different idea about Intellectual Property than the rest of the world. Their philosophy's and laws on trademarks, patents, identities and Intellectual Property and ownership in general, have caused a lot of grief for companies like Apple, as well as many famous piano companies. The Mason & Hamlin company and trademark is historically known worldwide as a famous trademark associated with the US company founded in 1854 and the factory currently making Mason & Hamlin pianos in Haverhill, Massachusetts. However, another person (flute maker) in China registered the Mason & Hamlin trademark a year or two before we featured authentic US made Mason & Hamlin pianos at the Music China trade show over 12 years ago. We have exhaustively petitioned the Chinese government and law to get our trademark back. We have also exhaustively negotiated to buy our trademark back from the current mark holder. However, we thought that an eight figure price USD was a little much. Many of our colleagues have experienced the same thing and have managed to pay a much lower price ransom to get their trademark back. We currently sell authentic Mason & Hamlin pianos under the Henry Mason name in China. In the meantime, there is hope that intellectual property rights in China will come around to the 21st century and world intellectual property law standards and honor and recognize true historic trademark ownership. In 2017 Mason & Hamlin had many discussions with the Grotrian company e.g. Parsons and ideas about some type of partnership, how it might work with product mix etc. Those ideas were never finalized, there is no agreement or contract. There are no co-products or designs of any type produced between the two companies. That being said, and to no surprise Mason & Hamlin is bombarded on almost a daily rate by potential investors, and other companies in and out of the piano industry who would like to have some kind of stake in the company. If you have any other questions or comments, you can always contact me directly I can be reached at 916 803-2659 or tom@masonhamlin.com. Also, follow MH, PD and WNG on Facebook, Twitter and Youtube. Read below for more info on the fake Mason & Hamlin Chinese company. Mason & Hamlin authentic trademarks and designs made by Mason & Hamlin exclusively for Mason & Hamlin pianos. The Mason & Hamlin piano company is aware that its historic trademark logo, intellectual property, designs, artwork and marketing materials, are fraudulently being copied and used without our cooperation or permission to manufacture and sell inferior quality pianos bearing our name, specifically in China. 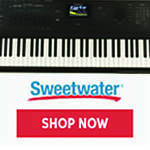 Additionally, iterations of our historic trademark logo and company founder names are being used to market and promote these piano sales without our permission or cooperation. These pianos are being produced in an attempt to pirate our trademarked name and illegally benefit from the high regard, historic legacy, and good reputation that Mason & Hamlin has earned in its 160+ year history. At this time, Mason & Hamlin is working to clear these non-genuine instruments from the marketplace. No partnerships exist between Mason & Hamlin and any other piano manufacturer in producing new Mason & Hamlin pianos. Authentic new Mason & Hamlin pianos are solely manufactured in our factory in Haverhill, Massachusetts, USA. Pianos that bear our trademark or iterations that are not manufactured in our factory are not genuine Mason & Hamlin pianos. As a customer, if you are seeking to own a genuine Mason & Hamlin piano, make sure to look for the features that are distinctive to new Mason & Hamlin pianos. If you are suspicious about the authenticity of a particular Mason & Hamlin piano, ask your salesperson about the instrument. An authorized Mason & Hamlin dealer will be readily able to vouch for the genuine nature of the Mason & Hamlin pianos they represent. We ask that our dealers, distributors, and customers help us in our mission to curtail the unauthorized activity of copying and pirating Mason & Hamlin designs, by reporting any information that you observe to the Mason & Hamlin piano company. Thanks for the update Tom! I'm so glad to know that M&H, PD, and WNG are alive and well, especially since I just replaced the S&S action on my model B with WNG last year. I think with the Gibson and Guitar Center bankruptcies in the news lately, it can make us all nervous when we see news of something like this, and rumors are always flying with all the "fake news" that's out there on many, many different fronts. Thank you for the details. It sounds like an exhausting and frustrating process. Although we (Chupp's Pianos) are not a new Mason & Hamlin dealer, I did just share this information on our facebook page. Keep up the good work! Tom, Thanks for your very clear post. I am sorry to hear about the trademark problems M&H has had with China. But I am happy to hear that the M132 mentioned in the op in this thread does not in anyway reflect a financial problem with M&H, and you will continue to produce your fine pianos here in Massachusetts. Thank you for joining the conversation. I'm sorry the brand has joined the ranks of others abused in China's marketplace. I've heard many absurd stories that would be funny if they were not so infuriating. I'm glad Tom jumped in to set the record straight. I just bought a new Mason & Hamlin AA and love it! Perhaps M&H can introduce these imposters to the US market as their lessor line. Maybe brand them as Hardly Mason! Thank you Tom for this enlightening and informative post. The commitment of the Burgett family, yourself and the entire team in re-establishing Mason & Hamlin as a world-class make for over two decades is appreciated by many in this PianoWorld forum. In a world of ever diminishing world-class piano manufacturers, the Mason & Hamlin Piano Company remains a shining beacon as both a historic U.S. brand and a treasured trademark in this industry. I am privileged to own and practice on a beautiful new Mason & Hamlin 7' BB, use the innovative PianoDisc/ProRecord product lines on a regular basis, and have even retrofitted my older Yamaha 6' C3 with state-of-the-art Wessell, Nickel & Gross carbon-fiber shanks and hammers. Your products bring joy to many, and I wish you and the company much continued success! I take exception to the notion that it's a privilege to own a piano. M&H will sell one to anybody, won't they? From the age of three, I wanted a grand piano very badly. My parents had very limited means and I would ask my parents to go visit the piano store all the time. At the age of six, they scrapped together what they could to purchase a 1970 Baldwin Acrosonic Console for my brother and I. My father and mother told me that if I practiced conscientiously and someday won the Hartford Symphony Orchestra Young Artists Competition, that they would get me a grand piano some day. I practiced and learned the Beethoven 2nd Piano Concerto, Grieg Am Piano Concerto, Liszt 1st Piano Concerto and many other large works on that Console for ten years and at the age of sixteen I did win that competition. With the help of my parents, the prize money and the sale of the Baldwin, we were able to purchase my 1980 Yamaha C3, which I have kept to this day. You may "take exception to the notion that it is a privilege to own a piano", but perhaps now that I have provided the context of my comment it makes more sense? We are all fortunate that we still have many outstanding acoustic instruments available to purchase from a number of world-class manufacturers; Mason & Hamlin being one of them. I am inspired to play and practice on such an instrument each an every day. To me this is a privilege! Privilege can mean an advantage or source of pleasure granted to someone. Sure, a piano maker doesn't grant their instruments to a select few for free (although a grant can be made in exchange for money). Nonetheless, the fact that not everyone can afford a nice instrument makes it appropriate to express appreciation for "the privilege" of owning and playing one. Last edited by DDobs; 07/14/18 12:04 AM.